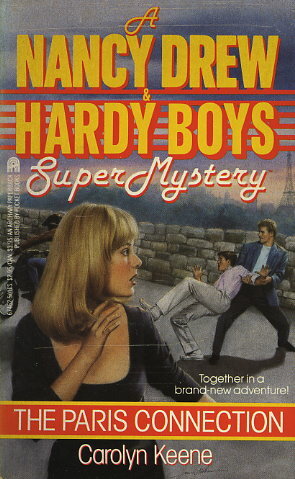 NANCY DREW flies to Paris to help rock idol Johnny Crockett. His World Hunger Rock Tour is being attacked by a rash of vicious pranks that threaten to shut down the charity event. As soon as Nancy arrives she finds that the problem may be more than a simple case of dirty tricks. The tour's financial records have been stolen -- and the handsome rock star could be facing a career-ending scandal.